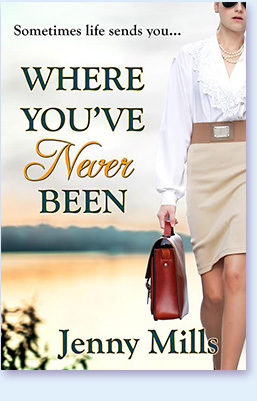 I’m delighted to announce that Jenny Mills has a new release coming up! Here’s the cover and a short overview of the story. Available from Amazon Kindle. At thirty-nine, Katherine Fullerton had it all. A successful law career, a comfortable home, and a satisfactory if not exciting social life. Not even a vicious, late night mugging had the power to throw her off stride—or did it? When a challenging case takes Kate to a remote island in the Pacific Northwest, a frightening encounter brings back the memory of that terrible night and forces Kate to realise that she’s not as in control of her emotions as she thought. But does she have the courage to turn her back on the life she knows and start again? Can her sister’s ongoing marital crises and a surprising friendship with a woman who came to the island to escape the unhappiness of her life make Kate look at her own situation differently? More to the point, can the unexpected affection of a man who is her opposite in every way, fill the empty places in her heart and make her re-evaluate everything she once held dear? 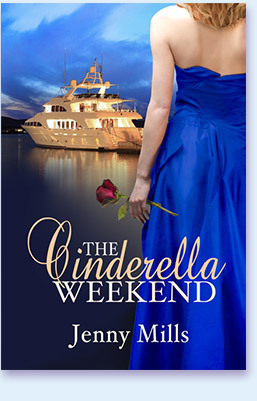 THE CINDERELLA WEEKEND is actually a re-release of my contemporary novel, BIRTHDAY GIRL, published in 2000 by Kensington as a Precious Gems romance. It was the only PG I wrote but I had a lot of fun with it, and now, with a beautiful new cover and a new author name, I’m putting it back out there in electronic format. Many thanks to my good friend and fellow Pen Warrior, Vanessa Grant, who kindly volunteered to format the book and to get it out there in the electronic world. I suspect Jenny will eventually get her own web space but for now, you can find information about her upcoming releases (and re-releases) here, along with Gail Whitiker, who is still happily rooted in the historical world. 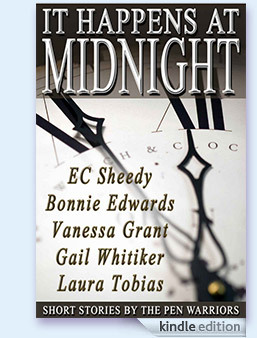 The story—much shorter and darker than anything I’ve written before—was originally released as part of the Pen Warriors’ anthology, IT HAPPENS AT MIDNIGHT (shown below), but re-releasing it as a stand alone short was a great way for me to get into the world of electronic publishing. 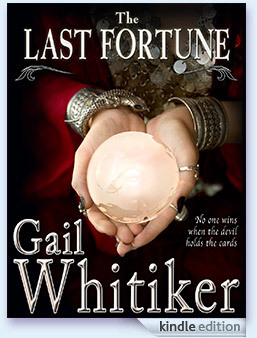 My sincere thanks to Angela Oltmann, for coming up with such a beautiful cover, and to Marie Force for helping me get it formatted and ‘upload-ready’. The Pen Warriors are currently taking a blogging hiatus, but you may find one of us popping up every now and then to say something brilliant, so please feel free to check out the site. Our first anthology, IT HAPPENS AT MIDNIGHT is currently available on Amazon Kindle, Chapters/Indigo, and iTunes.